Are you still enjoying the joyous Chinese New Year with your friends and family? Don’t let it stop! The annual Valentine's Day is around the corner. On such a romantic day, "Love" is no doubt a hot topic among the couples, and the best way to express love is by giving Valentine's Day gifts. 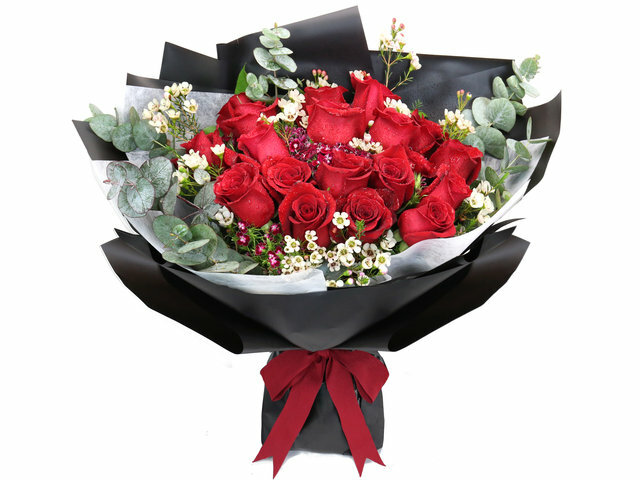 The rose bouquet is the classic gift for Valentine's Day celebration because basically no girl can resist the charm of roses. 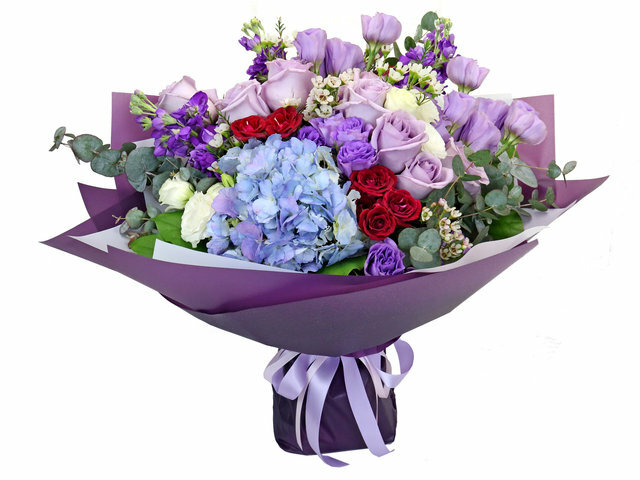 Hong Kong Give Gift Boutique Flower Shop selects high-quality flowers from all over the world with diversified design styles for you to choose; whether it is an elegant, romantic, pure or refreshing Valentine’s bouquet, there always will be an exclusive flower gift for your beloved one. South American roses are well-known to be the best quality and the most expensive roses among the imported roses flowers; they are 30% larger than the regular roses with stronger petals and nicer fragrance, they also last longer than other type of roses. As we know, the first dyed/rainbow rose in the world was invented by a Dutch florist and has been loved by people all over the globe since. 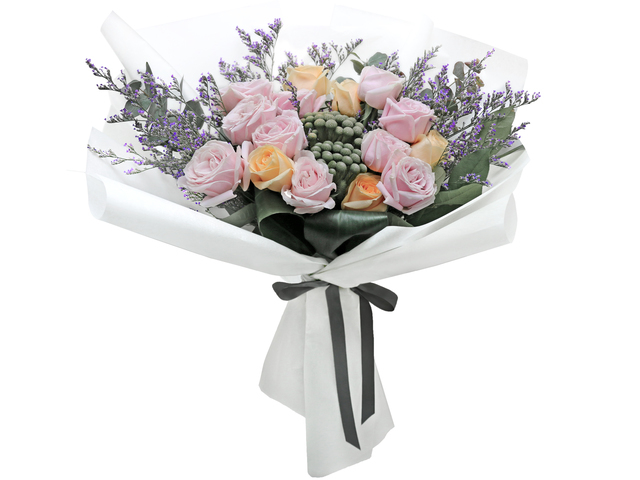 Rainbow Rose is also known as "Happy Rose", and its flower language is romantic, sweet, dreamy, joyous and gorgeous. 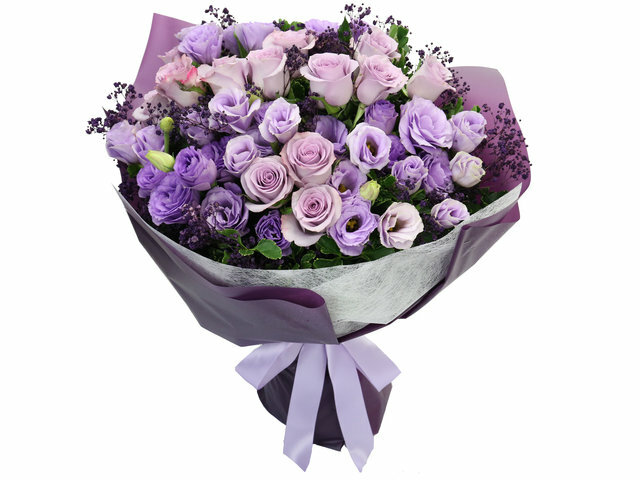 Sending such a unique bouquet of flowers on Valentine's Day for your beloved one is an expression of romantic, blessings and true love. 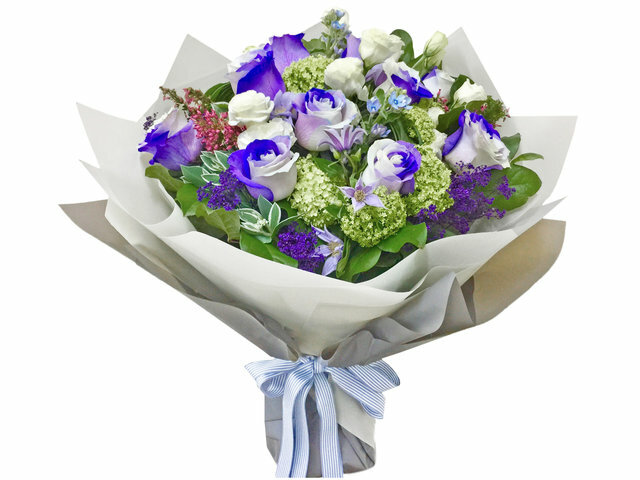 This limited time offer flower bouquet, uses imported Netherland blue/white rose, Oxypetalum Coeruleum,viburnum roseum with import foliage. 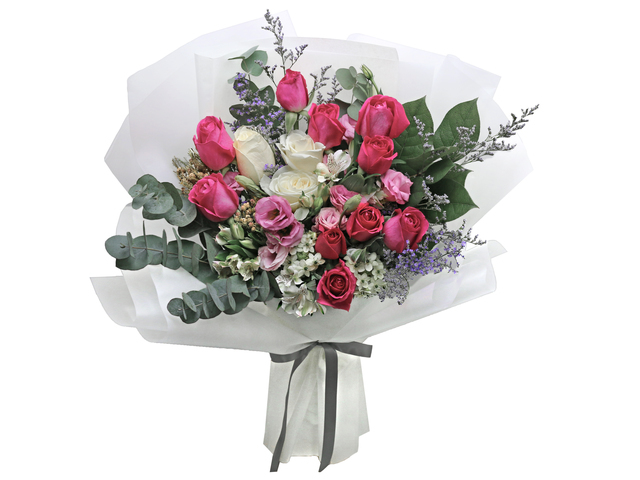 This is a Hong Kong GGB original 'Valentine's Day version | Romantic Exclusive Flower Bouquet for Her' blogpost.